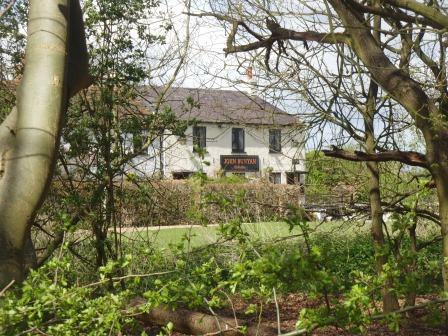 This pub in the hamlet of Coleman Green was formerly called the Prince of Wales. It was renamed in the 1950s in honour of John Bunyan, the author of The Pilgrim's Progress, who very probably preached nearby. The origin of the name Coleman Green is unclear, but the hamlet may have been named after Thomas Coleman, a horse trainer who promoted early race meetings on Nomansland Common.